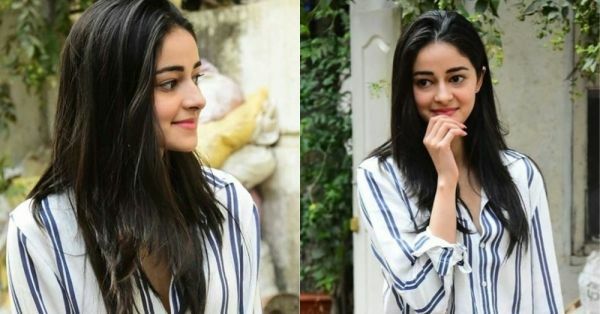 Ananya Panday Stepped Out In The Perfect *Girl Next Door* Outfit And You Might Already Own It! And another one, because why not? Now that's enough clues, you guys, so let's jump straight into it and take a look at the outfit in question. Are you ready? Here goes! Nothing beats the style and comfort of a dependable outfit, one you could throw on in a jiffy and blindfolded, even. 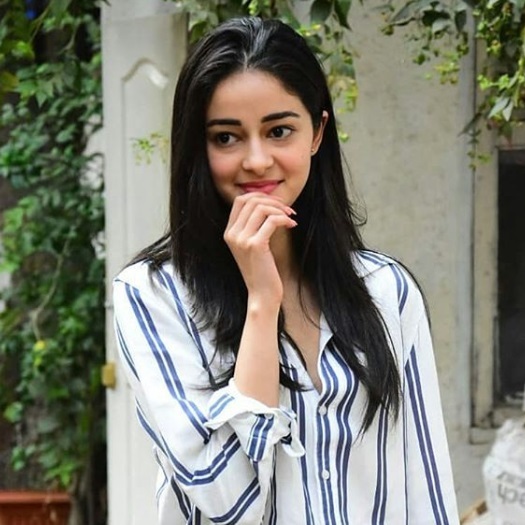 And that's exactly the kind of vibe that Ananya Panday gave us when she stepped out in an oh-so-casual striped button-down, paired with cool ripped denim. 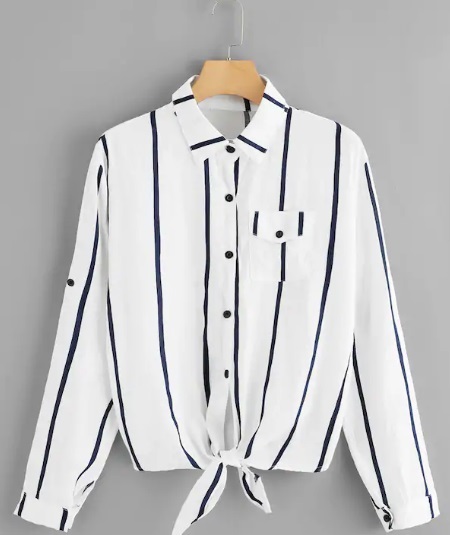 She isn't the only one having a moment in stripes. 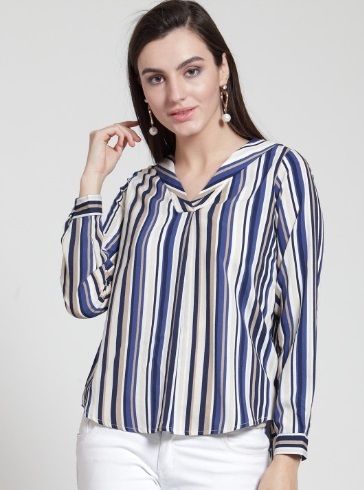 Remember Kareena Kapoor Khan's chic striped tee? 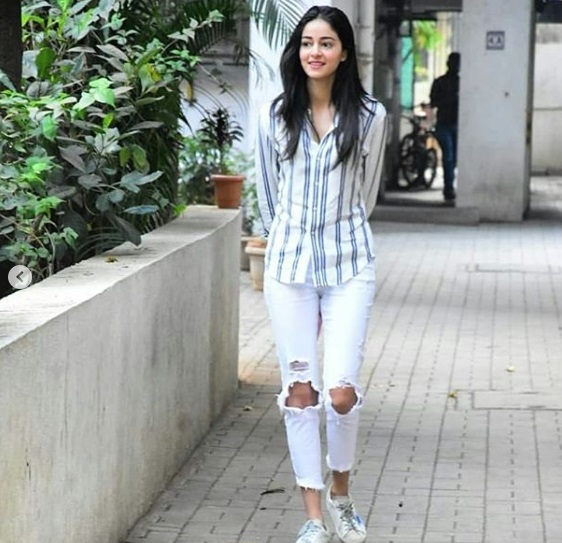 The classic nautical-stripe-white shirt+ripped-denim is one ensemble we tend to love collectively and it turns out Ananya Panday is also one of us. Welcome to the club, girl! Taking the casual-comfy look to another level, the young actress chose to wear a pair of white trainers which matched perfectly with her outfit. 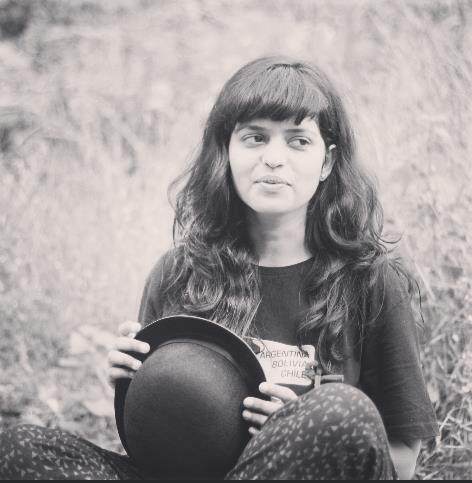 Her makeup-free look with hair let down is basically all of us on a typical Saturday brunch, no? 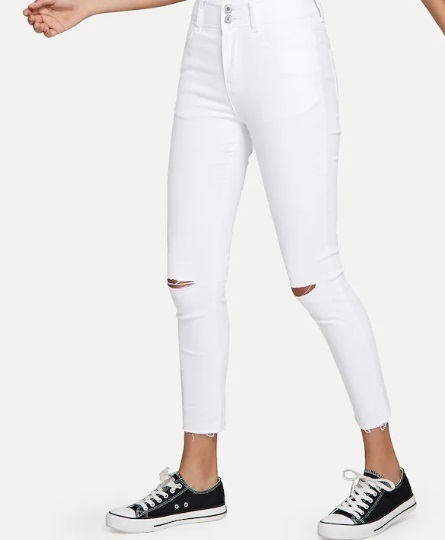 If the ubiquitous outfit has somehow managed to escape your sight so far (though we really doubt it), you don't have to worry a bit, for we have the casual look ready for you. 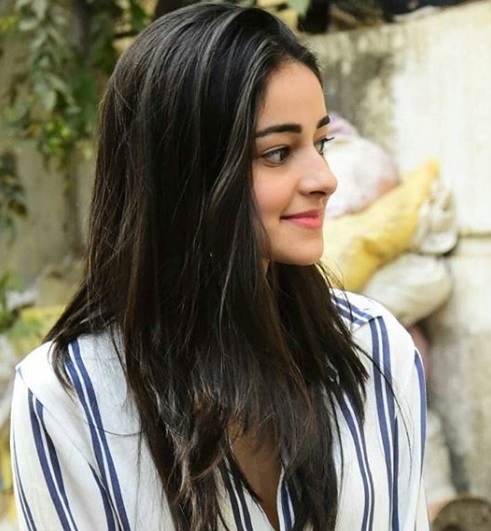 Take a look at outfits similar to Ananya Panday's, and shop the look that catches your eye. Go on guys: wear, wash, repeat!